Capsiplex reviews (UPDATED 2019): Is it safe? Capsiplex reviews: Is it safe? Capsiplex is a very popular and celebrity-endorsed weight loss pill that claims to be able to help users burn an additional 278 calories a day, roughly the same amount burned cycling for 45 minutes. Capsiplex took off fast, selling 50,00 units alone in the first 3 days of availability due to a powerful marketing campaign and multiple celebrity endorsements. But have Capsiplex’s many customers been satisfied by the results of Capsiplex? Let’s take a closer look at the product and see if its popularity is truly well-earned. Capsiplex is produced by a company named Advanced Health limited, that operates out of Glasgow in Scotland. The company was founded in 2006 and launched in 2019 by its managing director, Jane McCadden. However, there seems to be very little information online regarding the current state of Advanced Health Limited; the company does not even have an official website. 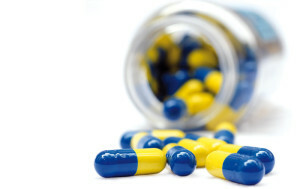 Users are instructed to take one Capsiplex pill half an hour before exercising. The intended result is to provide users with more energy and focus to help you work out, while burning an additional 278 calories that you would not lose without the help of Capsiplex. Capsiplex claims that its effectiveness comes from a blend of red chili extract known as capsicum and the substance capsaicin, which together have thermogenetic effects to heat up your body to boost your metabolism and burn fat before you even make any effort to exercise. Capsiplex claims to be clinically studied and tested, but the product’s official website only provides information regarding one study performed by the University of Oklahoma, which allegedly proved Capsiplex to be capable of helping users burn a significant amount of additional calories before, during and after exercise. However, the study was relatively small and not rigorous enough to really prove anything about Capsiplex’s weight loss properties. Of course, Capsiplex’s official website provides some positive user testimonials as well, but it seems like there are just as many, if not more unbiased user reviews online that have expressed disappointment with Capsiplex’s effects. The official Capsiplex website lists several ingredients that make up the product, but it is unknown if this list includes every ingredient found in Capsiplex. 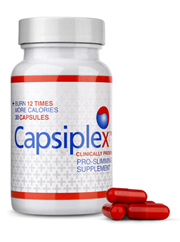 Capsiplex takes its name from its main ingredient, an extract of red chili known as capsicum. The official website of Capsiplex claims that this extract contains high doses of capsaicin, an active component of chili peppers which lends them the heat necessary to help boost your body’s metabolism and burn more calories. Capsiplex contains ingredients such as Piperine, which gives black pepper its heat, as well as the natural amino acid L-Arginine and Niacin, or Vitamin B. These ingredients help increase your metabolism, energy and blood flow while you work out, in addition to delivering more oxygen to your muscles. Capsiplex also contains roughly a large cup of coffee’s worth of caffeine. While the official Capsiplex website makes no mention of any possible side effects, users have reported experiencing several side effects from the drug, including severe nausea, vomiting and heartburn, as well as additional pains in the chest and stomach. Unlike many diet pills that contain chili extract as an ingredient, Capsiplex’s unique outer layer allegedly prevents any throat or stomach irritation. While several studies have been performed on the weight loss properties and metabolism-boosting effects of chills, many have concluded that the effects are only short lived, so it’s difficult to say whether chili extract is really the powerful weight loss ingredient that Capsiplex claims it to be. The official Capsiplex website has suggested that the product has been incorporated by various gyms and fitness facilities into their weight loss and exercise programs, but a spokesperson from one of the gyms Capsiplex lists claims that his gym does not endorse Capsiplex and would never incorporate it into their weight loss programs. This calls into question Capsiplex’s integrity, as well as the reliability of the claims found on their website. Chili-based weight loss tools are very popular on the market, and Capsiplex does little to distinguish itself from its competitors. Capsiplex claims that the pill’s patented outer layer may prevent throat or stomach irritation, but users have still reported experiencing side effects common of products containing chili extract, such as heartburn, nausea and stomach pains. Perhaps more importantly, it seems like the majority of user testimonials found in unbiased parts of the internet have expressed disappointment with the lack of Capsiplex’s results. While Capsiplex may contain some ingredients that are widely believed to actually aid in the weight loss process, it seems highly unlikely that the drug is capable of delivering the weight loss and health improvements that it promises. When you consider the lack of positive testimonials anywhere besides the official Capsiplex website, which has also been known to make misleading claims, Capsiplex does not seem to be a reliable product at all.